Senior Iranian official warns Europe against cooperating with U.S. attempts to change 2015 nuclear deal. A senior Iranian official stressed on Saturday that the Islamic Republic will not accept any changes to the 2015 nuclear deal with world powers, after the United States said it was seeking a "supplemental" accord with European powers. "We will not accept any changes, any interpretation or new measure aimed at limiting" the 2015 deal between Iran and major powers, the official, Ali Shamkhani, was quoted by AFP has having said. 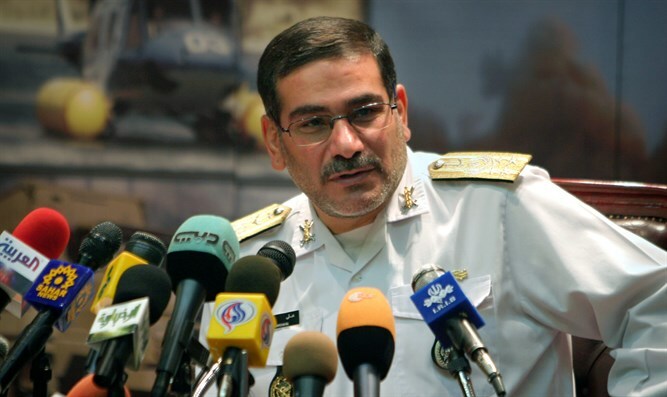 Shamkhani, secretary of the Supreme National Security Council, also warned European countries "against the temptation of playing at the same game as the Americans." "The ballistic program of the Islamic Republic of Iran, which has a defensive nature, will steadfastly continue," said Shamkhani, who is a close ally of Iranian Supreme Leader Ayatollah Ali Khamenei. On Friday, senior U.S. State Department official Brian Hook said that President Donald Trump wanted to reach a "supplemental" deal with the European signatories to the Iran nuclear deal. This would cover Iran's ballistic missile program, its regional activities, the expiration of parts of the nuclear deal in the mid-2020s and tighter UN inspections, Hook said. "We are taking things one week at a time, we are having very good discussions in London, Paris and Berlin," said Hook, according to AFP. "There is a lot we agree on and where we disagree we are working to bridge our differences," he added. On Friday, Reuters reported that Britain, France and Germany are weighing fresh EU sanctions on Iran over its ballistic missiles and its role in Syria’s war in a bid to persuade Trump not to abandon the 2015 nuclear deal. The proposal is part of an EU strategy to save the accord signed by world powers that curbs Tehran’s ability to develop nuclear weapons, namely by showing Trump that there are other ways to counter Iranian power abroad. Shamkhani made the remarks as he met Saturday in Tehran with Yusuf bin Alawi, the minister responsible for foreign affairs in Oman, a key Gulf ally of the U.S. with close ties to Iran.